Electricity prices may be on the rise, but Tasmanian solar users are wiping out their electricity bills and in some cases even earning a small income through installing solar panels. You will be paid a rate of 6.671c per kilowatt hour for any excess solar energy you produce that can be fed back into the grid – remember, the savings you’ll make for the electricity you don’t consume will be substantially higher per kilowatt hour. Through the Renewable Energy Target scheme (RET), the Federal Government subsidises the cost of Solar Power Systems according to the energy generated. Energy Matters incorporates the value of these solar credits by providing a discount on the solar power system you purchase. The amount of discount is dependent on the output of the system purchased. NOTE: The Renewable Energy Target is being reviewed. The results of the review could see the amount of support being slashed – so if you’re considering going solar, the best time to do so may be right now. The Tasmanian government in conjunction with Aurora Energy has announced the Tasmanian Energy Efficiency Loan Scheme (TEELS) to help grow the states solar use and help to make investing in renewable energy even cheaper. So much of what we buy today we make a loss on – but not so with solar. In fact, an average system installed in Hobart or Launceston can provide an internal rate of return of between 9.5% and 11% according to Australian Solar Index estimates. Tasmanian electricity prices jumped 12% between 2012 and July 2013. Tasmania’s Opposition says households started paying a further 3% more from July 1, 2013. Electricity prices may be on the rise, but households are wiping out their electricity bills and in some cases even earning an income through installing solar panels in Hobart and throughout Tasmania; taking advantage of the feed in tariff offered in the state..
Our Tasmania team travel all across the Apple Isle, from West Coast to Flinders Island, to provide every customer unrivalled service. Their thorough understanding of government policy and rebates ensures they only offer systems that best suit your needs under current state legislation. The team are also Clean Energy Council accredited. 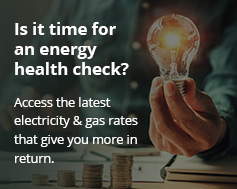 Check out Energy Matters’ latest range of system specials or try our no-obligation online solar quote tool to instantly calculate the system that will best suit your needs. Furthermore, the industry benchmark solar panel mounting system, SunLock, is designed by Energy Matters and manufactured right here in Australia to handle the toughest Tasmanian weather conditions. All other system components such as panels and inverters are sourced from the world’s most reputable suppliers. Our team would love to chat with your about your solar needs; so give them a call on 133-SUN.